On March 3rd, Van Avery Prep sent two teams to compete in the Science Olympiad Inland Empire Regional Competition at Ramona High School in Riverside. Student’s grades 6 – 8th participated. VAP entered two teams. There were 21 teams in the 6th grade competition and 18 teams in the 7th/8th grade competition. This school year we’ve had several talented students win various essay contests. We’re proud to say that every student within our middle school program participated in two Elks club essay contests in the fall. We had two finalists in the Elks Club Drug Awareness Essay Contest, from seventh grade, Brooke Dresbach and from eighth grade, Levi Maldonado. The evening of the banquet and awards ceremony we were so pleased to hear that Brooke was awarded 2nd place and Levi 1st place! Levi Maldonado’s essay was sent to the state and national level. He is the state overall winner and we are still waiting to hear the results at the national level. We are beyond proud of Levi and his incredible accomplishment. 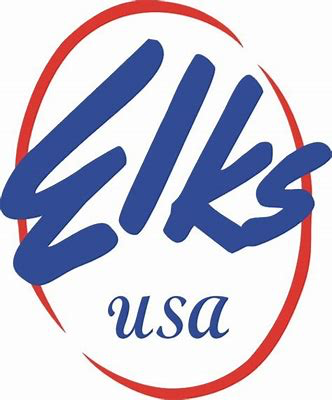 Later in the fall, we discovered that we had again two finalists in the Elks Club Americanism Essay Contest, both students from our eighth grade class, Rachel Hong and Audrey Paik. The night of awards ceremony we learned that BOTH of our talented and dedicated students won the top two positions, in second place Audrey Paik and in first place Rachel Hong. Our incredible debate team-with THIRTY members ranging from sixth to eighth grade had a tremendously successful year. With so many new faces from our sixth grade class, we are excited about the future of our team! Each debate competition brought home many awards and accolades with the final result of two teams qualifying to the regional competition, the first time we have done so! Both teams had three wins during the regional competition and we are so proud of their hard work, diligence and professionalism. Congratulations to our regional qualifiers Timothy Dull, Aryan Gupta, Tyler Green, Cameron Hale, Erica Norrid and Audrey Paik. 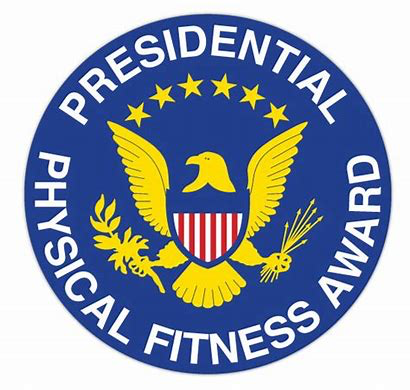 The Presidential Youth Fitness Program is a nationwide assessment test that encourages students to achieve excellence in physical education. This program is designed to empower students to be fit for life. Students that reach the measured test goals in the 5 areas of fitness, earn a recognition medal. This year, Van Avery Prep had 64 students achieve this award. They will receive their medals at a special recognition assembly at the end of the school year. The 100 mile club is a nationwide program that encourages students to achieve a healthy lifestyle through through physical activity. Students and their families are given the challenge to to run or walk 100 miles. Our Van Avery Prep staff has also taken the challenge each year. Incentives are given given out at 25 miles (100 mile club t-shirt), 50 miles (golden pencil), 75 miles (wristband), 100 miles (certificate and gold medal). We had 65 students and 12 teachers/staff join the VAP team. Most all participants have already accomplished this goal, or are well on their way to the finish line! A special assembly will recognize these students and staff for their healthy goal achievement to complete the 100 mile distance. The contest is designed to spark student interest in the subject, and increase public awareness about geography. Students in grades six through eight are participate in this entertaining and challenging test of geographic knowledge. This year’s school champion was MAHMOUD ABUNADI. The Simulated Congressional Hearing provides students an opportunity to demonstrate their knowledge and understanding of constitutional principles. The entire class, working in cooperative teams, prepares and presents statements before a panel of judges acting as a congressional committee. Students then answer follow-up questions posed by judges. 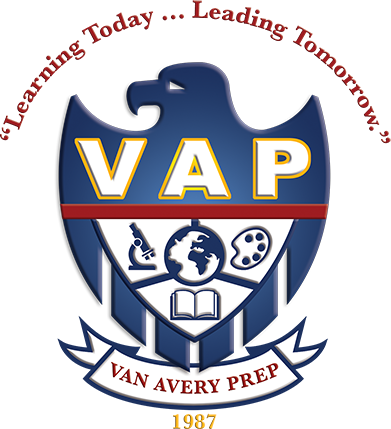 The middle school competition is held in December and Van Avery Prep represented the 50th Congressional District at the San Diego Area Middle School Competition at Grossmont College. The American Scholastic Challenge is a one-hour competition with fun and educational questions that test students knowledge in math, social studies, art, music, pop culture, geography, literature, and the sciences. For grades six or grade eight students, the contest is conducted annually in February. Students who score ABOVE THE NATIONAL AVERAGE receive a certificate of achievement. The highest scorer is the school champion and competes among the top scorers from each school. This year, our very own Timothy Dull was California State Champion. VAP student Kyleigh Han scored in top 1% of the nation! For the 2017 through 2018 School year, we continued our participation in the American Mathematics Competition 8. The AMC 8 is a 25 question, 40-minute multiple-choice examination for middle school students. The exam is designed to promote the development and enhancement of problem solving skills. Many problems are designed to challenge students and to offer problem-solving experiences beyond those provided in most middle school math classes. CONGRATULATIONS TO ALEXIS FRANCIS AND RACHEL HONG FOR WINNING THE PRESTGIOUS MARIAN HUHN SCHOLARSHIP AWARD FOR THE 2017-2018 CJSF SOUTH REGION. THEY JOIN A LONG LIST OF VAN AVERY PREP PAST RECIPIENTS OF THIS AWARD. THE MARIAN HUHN MEMORIAL AWARD RECOGNIZES OUTSTANDING 7TH & 8TH GRADE STUDENT MEMBERS OF CALIFORNIA JUNIOR SCHOLARSHIP FEDERATION FOR THEIR ACADEMIC EXCELLENCE AND SERVICE TO THE SCHOOL AND COMMUNITY. IN 1989, THE “CJSF HONOR AWARD” WAS RENAMED IN REMEMBRANCE OF FORMER CJSF REGISTRAR MARIAN HUHN.